World Music Friday returns after a rather long hiatus with a nod to my recent trip to the USA. Going back after 5 years was a rather interesting experience. Old feelings about the continent had dissipated and instead of finding that American niceness to be somewhat disingenuous, I embraced it wholeheartedly. It was actually really heart warming to meet people who are so welcoming. 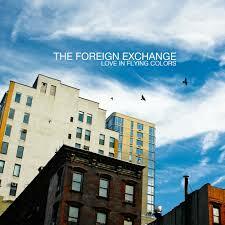 While there, I had the good fortune to go see The Foreign Exchange at the Howard Theater in DC. Loved it! Great venue, great music. So figured that I’d share a couple of tracks, one they played at the show and another one of their earlier tracks. Thanks to those who made it such a great almost 3 weeks.